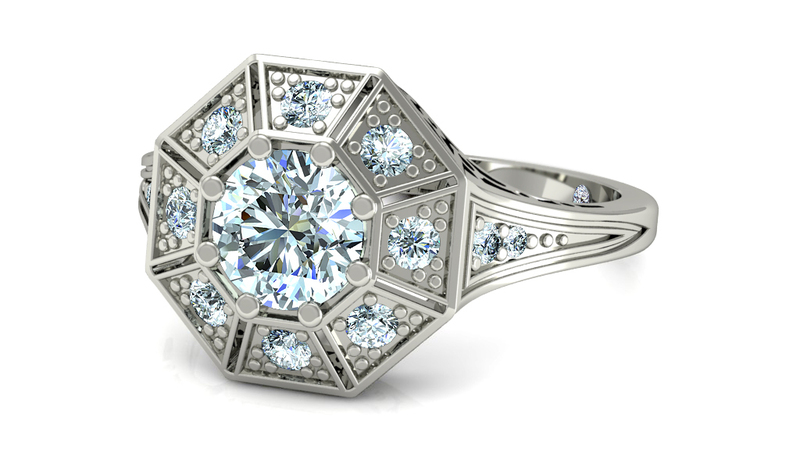 Nothing shows off a diamond better than… more diamonds. 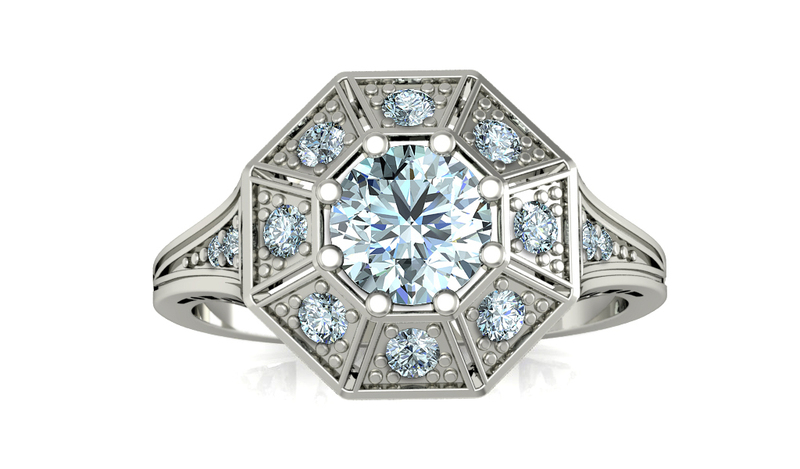 This truly exceptional vintage-inspired ring halos a bezel set diamond with a lavishly detailed latticework of 8 diamonds set in an octagonal shape. 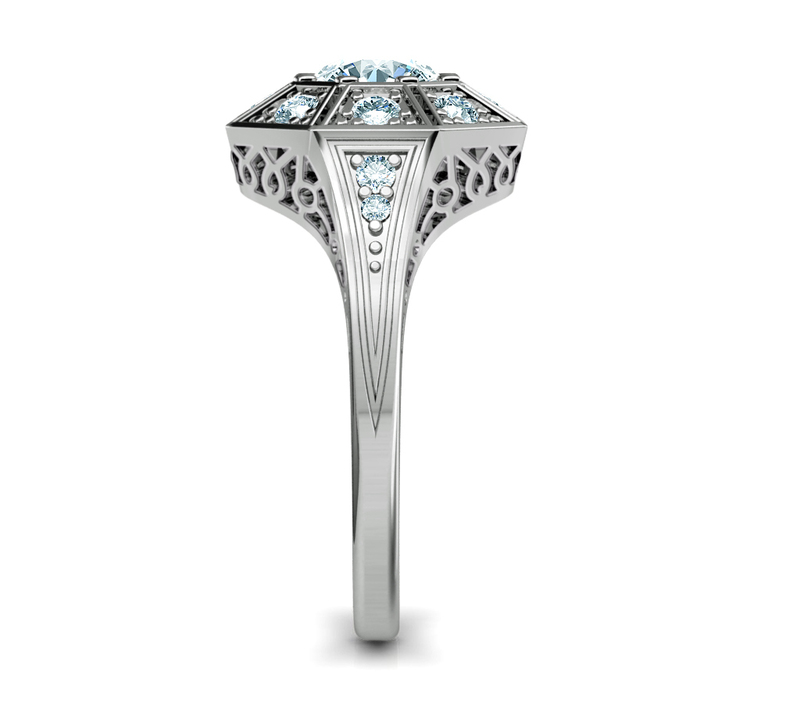 Two diamonds sparkle along each side of the shoulder band. 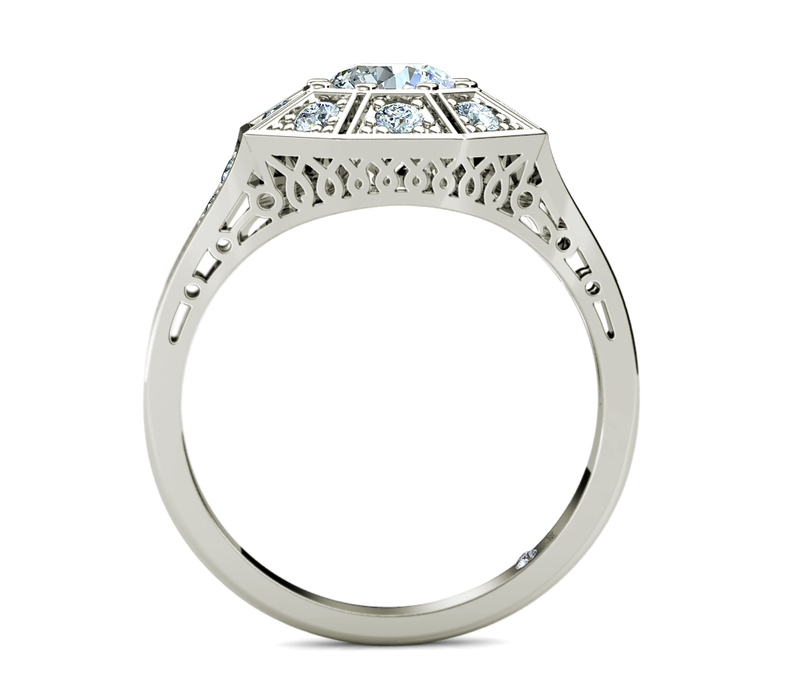 So much diamond it will shine across the room, this is the ring descendants will fight over for generations to come. Starting at $2560.